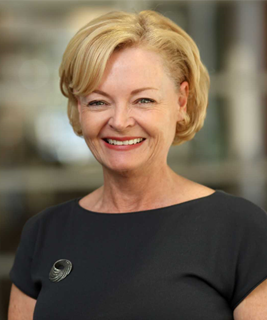 Loren Bridge is the Executive Officer and Company Secretary of the Alliance of Girls Schools Australasia and has been in that role since 2013. 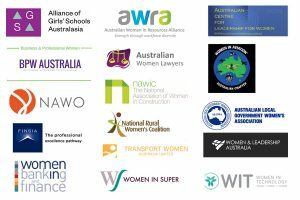 The Alliance of Girls’ Schools Australasia is a founding member of the Australian Gender Equality Council and is a leading voice for the education and empowerment of girls and women. In collaboration with girls’ schools and key partners, the Alliance strives for a world where women make a difference in new and impactful ways, promoting inclusion and enhancing society. The Alliance network comprises 165 diverse member schools. The Alliance represents over 132,000 girls, over 10,000 educators and attracts over 6000 program participants annually to local events, and regional and international conferences, also reaching a broad local and international audience via social media and print and digital publications. Loren shares a strong commitment to gender equality, leading campaigns through the media on issues of gender disparity and calling out issues of misrepresentation and gender bias. Building upon Loren’s experience in previous marketing roles with the NT Government and communications and community relations roles with Brisbane Girls Grammar School, the Alliance network has built a strong media presence and social media footprint. Loren has overseen the Alliance’s sponsorship of research related to gender issues recently funding a Monash University study into STEM engagement and careers. For the past four years Loren has driven the Alliance’s engagement with schools, business, community and industry organisations establishing successful partnerships and initiatives such as ‘Yarning Up’ with Bond University, a program honoured with the 2016 Queensland Premier’s Reconciliation Award, and a STEM project that has seen over 500 girls from 52 schools participate in NASA’s space school program in the USA. Loren has a Master of Business — Marketing from Charles Sturt University, a Graduate Diploma —Education from Charles Darwin University and a Bachelor of Business — Marketing from the University of Technology, Sydney.